BME workers attended fall protection training performed by Capital Safety and hosted by the Korte Company. 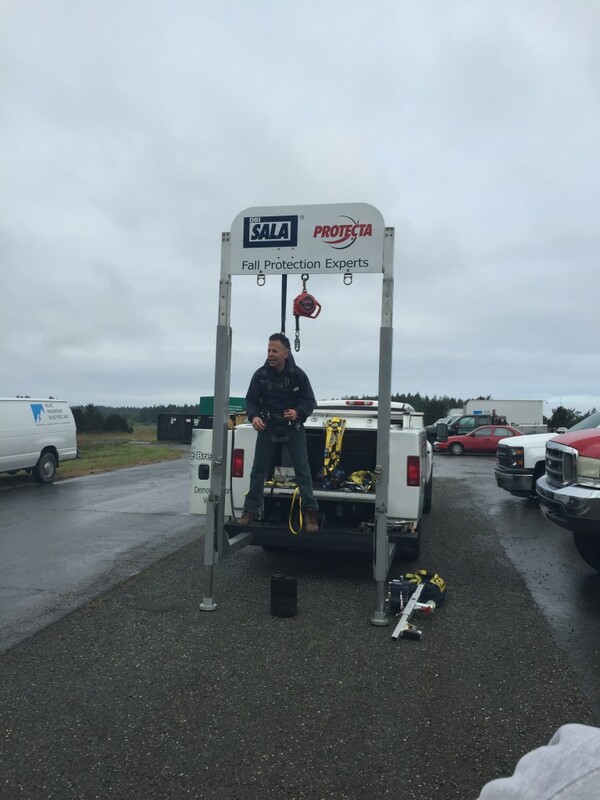 The training provided valuable information and a demonstration of how fall protection equipment is to be chosen, worn, and maintained properly. The training was hosted by the Korte Company at NAS Whidbey Island, where Korte and BME are working on two large construction projects for the Navy. The United States Department of Labor Occupational Safety and Health Administration holds yearly safety stand-downs with emphasis on certain safety areas. As electricians, BME workers have a significant amount of work to do from manlifts installing conduit, wiring, and light fixtures. 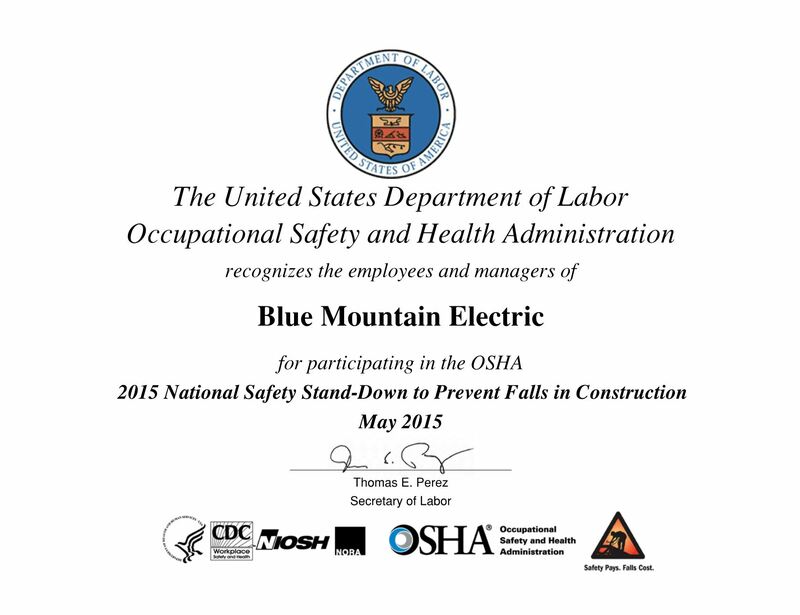 Fall protection training and safety is important to BME.